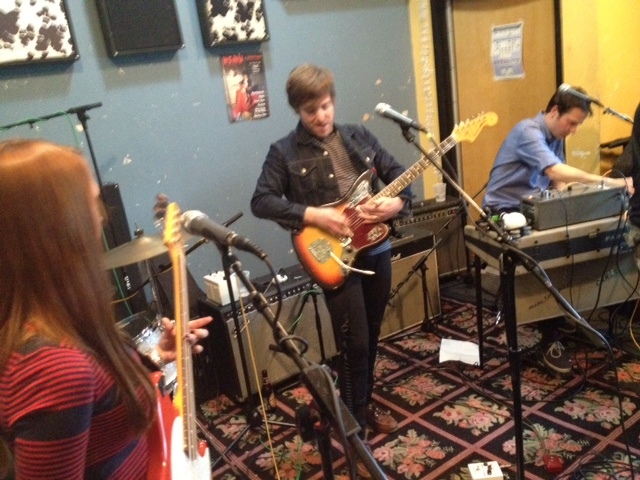 BLACK HOLLIES Live on The Cherry Blossom Clinic on WFMU! Like Black Hollies on Facebook. Follow Black Hollies on Twitter. Follow Black Hollies on Instagram. Black Hollies's latest album Somewhere Between Here and Nowhere is available now on Ernest Jenning Record Co. 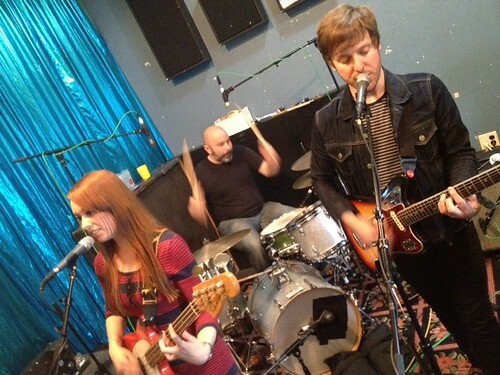 THE BLACK HOLLIES No Illusion Live on the Cherry Blossom Clinic on WFMU. 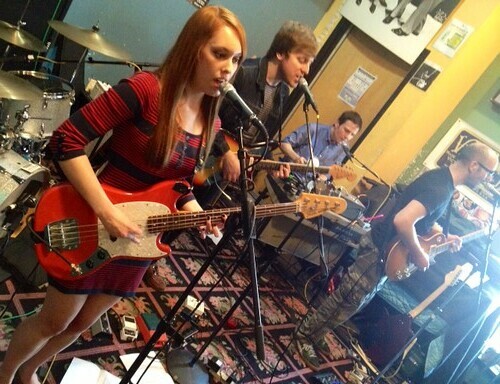 THE BLACK HOLLIES Somewhere Between Here & Nowhere Live on the Cherry Blossom Clinic on WFMU. 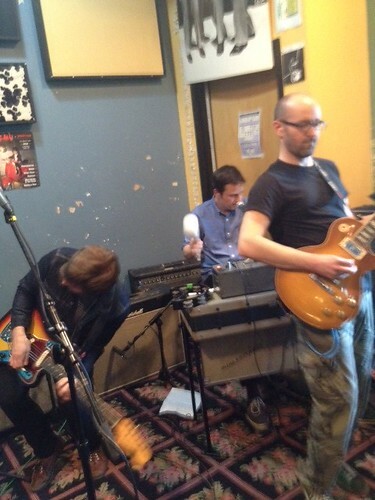 THE BLACK HOLLIES Lunatic Influenza - Part II: Take Me As I Am Live on the Cherry Blossom Clinic on WFMU. 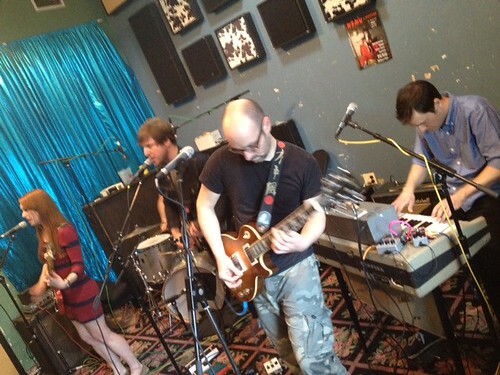 THE BLACK HOLLIES Benevolent Beacon Live on the Cherry Blossom Clinic on WFMU. 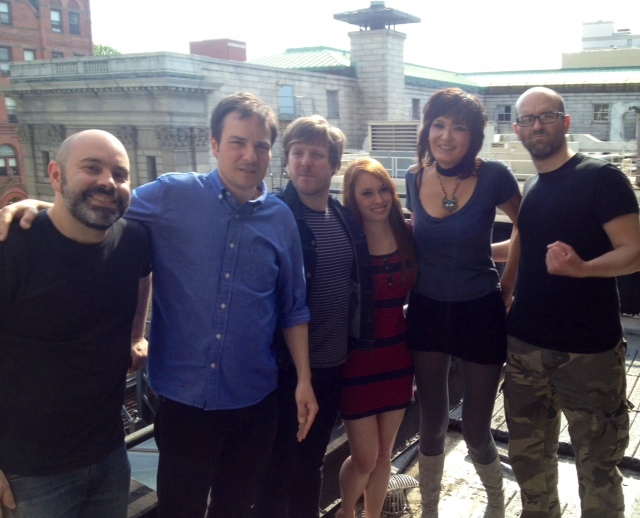 THE BLACK HOLLIES chat w/ Terre Live on the Cherry Blossom Clinic on WFMU. JESUSLORDGOGALMIGHTY Jon Spencer is awesome! I could listen to "She's On It" by Beasties and JSBE, back to back, all day. Hey Terre! Viva Roxy Music! Wow. Hard rockin' Roxy Music. Think Devo and Stranglers might have heard and liked the keyboard parts? Nice. @ Stevel - pretty good guess Roxy was an influence on both! hi every1 - and Hi Terre, thanks gr8 Selecti0n! of good will ;) .... wink! Sounding great in the City!! thanks @fred. I know Dengue, will be checking out Ros....wish we could favorite these jingles, too! Never requested a number before, but we need to hear the "Girl Who Lives On Heaven Hill" bumper again! what happened to SG? (spaceghetto) ? does anyone know? We'll definitely get to it, eyenoise! @Guido: Guten TZAG, and I'd expect no less from the master of time zones. Would you happen to be a doctor as well? Snare's the loudest instrument in the Black Hollies? guten TZAG Fred (& all you out and in here)! if i'd try to be a dictor it woul show up that it's all instinkt in the end. Thanks for fixing the snare! SNARE IS WAY TOO LOUD and there is almost NO BASS DRUM. Where did you find that, Guido?!?! Good thing, Guido. Terre was about to be scared you hacked her phone! excellent excellent show, Terre! thank you!!!! LOVING this BLACK HOLLIES set!!!!! That lady should tell them to turn the snare down. FaceBook is definetely NOT my private sphere and my profile does not reflect my personal private contacts. It is part of my public profile and networking tool. Sunshine, a live Black Hollies session with Terre T, and the mozzarella and tomato sandwich I just ate = a perfect Jersey City Saturday! Psychedelic song-jamming @ it's best. I say yeah yeah yeah to a full-length Michael Lynch song! I hear some Black Hollies will be present for Q & A at the premiere of the documentary “Rye Coalition: The Story of the Hard Luck 5”. May 30, 7:00 pm, at Rutgers University’s Voorhees Hall (71 Hamilton St, New Brunswick, NJ). The Lyres insist that they go on no later than 11:00. So the plan is for the Grip Weeds to go on at 9, and the Insomniacs at 10.